For generations, McWane Ductile has been a global leader in manufacturing ductile iron products that are used in water distribution and infrastructure systems. Our products are integral to the development and function of both plumbing and clean water works systems throughout the world. 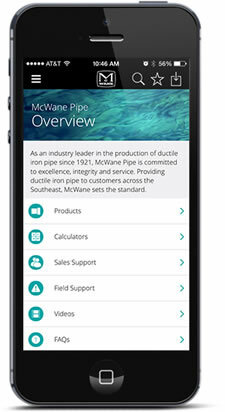 The people at McWane Ductile are dedicated to the production of the finest quality ductile iron pipe products on the market today. We have a long, rich history of manufacturing ductile iron pipe to meet the needs of our customers around the world. Strength and a long life cycle are two of the attributes that set ductile iron products apart from competing products. That advantage, combined with the service and attention to detail to which McWane Ductile employees aspire, result in a superior level of satisfaction for our customers. McWane Ductile is a proud member of the Institute for Sustainable Infrastructure.